There seems to be one single factor that keeps people from creating the life that truly sets them free : FEAR. 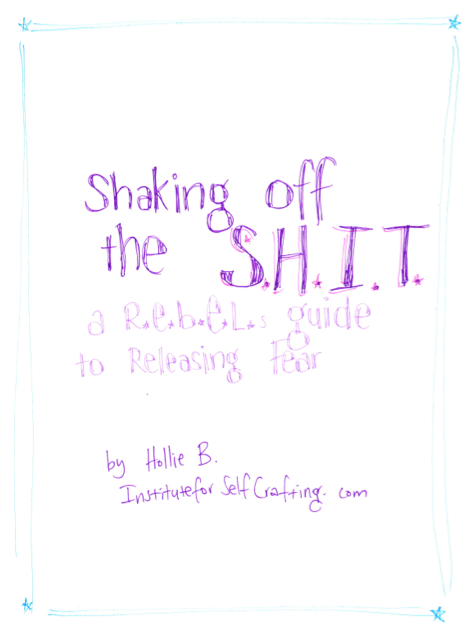 In this little eBook I talk about the S.H.I.T. (Stuff that Haunts you Into Tomorrow) that holds us back, and what to do about it – because CHANGE can be the catalyst that create the life that will bring you ultimate happiness!! How do I know that? Simple : if there is anything in your life right now that doesn’t match your absolute Joy and Desire then the only way you’re going to switch that around is by CHANGING something : or you could be so wild and change a heap of things! Either way, change is a choice. You can stay with things the way they are, or you can stop with the S.H.I.T. and have the life you are wishing for, today! NOTE : This eBook is available free to Members as part of your R.E.b.E.L. package. For customers choosing not to purchase a Membership, this eBook is listed here as a standalone product. 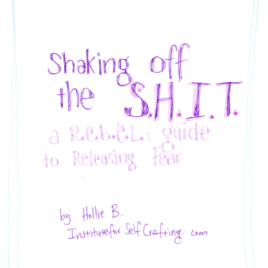 In this little eBook I talk about the S.H.I.T. (Stuff that Haunts you Into Tomorrow) that holds us back, and what to do about it - because CHANGE can be the catalyst that create the life that will bring you ultimate happiness!! How do I know that? Simple : if there is anything in your life right now that doesn't match your absolute Joy and Desire then the only way you're going to switch that around is by CHANGING something : or you could be so wild and change a heap of things!